Easy, API-based option that is fantastic for Excel users and robust enough for system integrators. Access the same content that lives in PowerSignals, QuickSignals and RiskSignals. Large and growing library of API query endpoints. Live replica of the Yes Energy database in Oracle on a fast server dedicated to your company. 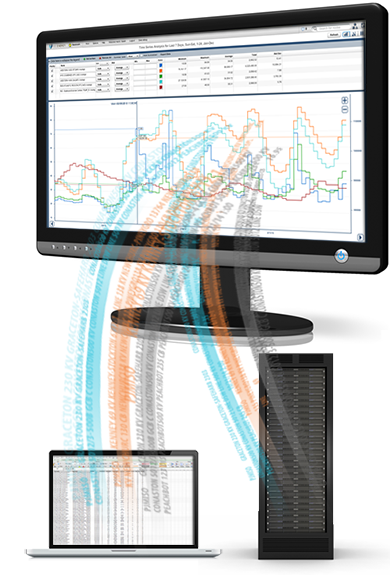 Add your data and analytics software to build a powerful proprietary information system. Advanced hardware is hosted in our sophisticated and secure data center. DataSignals offers a flexible and easy way to feed your in-house spreadsheets, statistical solutions and databases with real time and historic market data. It frees you and your organization from the hassle of collecting and maintaining the ISO market data including keeping up with data changes and data expansion when new markets open. Our 24x7 system reliability also means you no longer have to worry about data interruption from internal system outages and downtime, and you can count on Yes Energy to be dealing with glitches on the source data side. Customer satisfaction is our top priority. Along with onsite training and our extensive library of online tutorials, DataSignals includes access to our dedicated, on-call support staff.